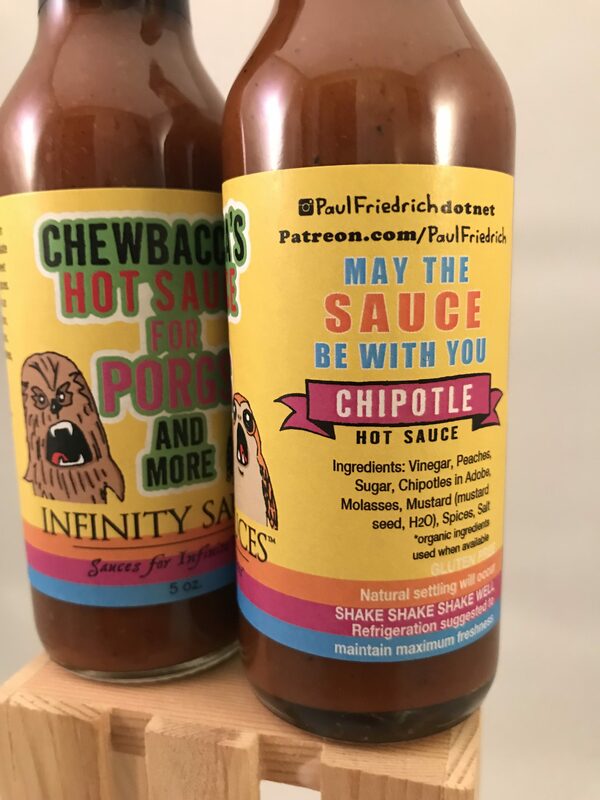 Paul Friedrich takes over a label for the 2018 ComicCon Season this year with “Chewbacca’s Hot Sauce for Porgs and More” chipotle sauce. This very limited run is to celebrate all that is the craziness of ComicCon and the brilliance of his Pop Art. 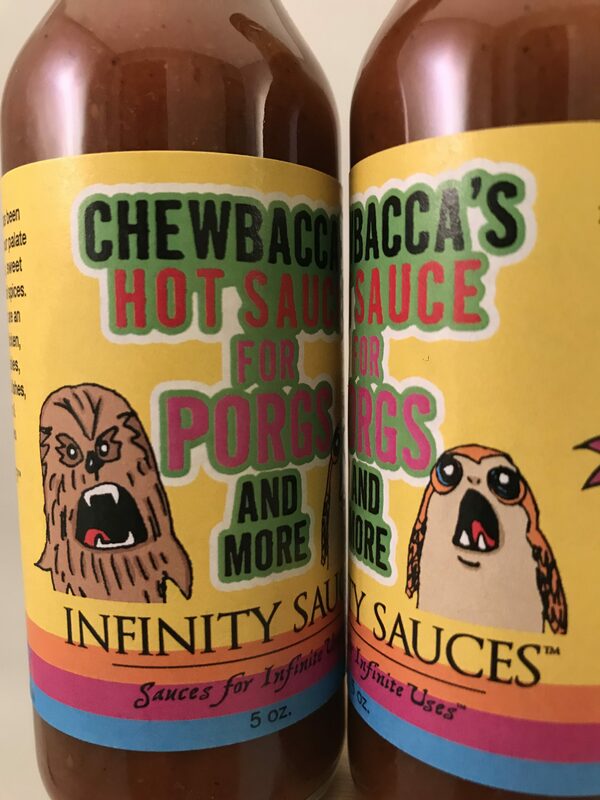 May the Sauce be with You! 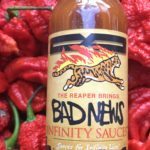 The sauce istself is our Chipotle sauce, which just won International Best Hot Sauce 2018, as well as the covenanted Blue Ribbon and Division Winner at the OC Fair! 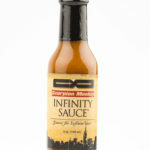 Winning not only best Hot Sauce, but best overall condiment!!! 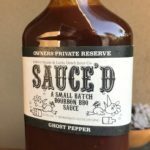 This has all of the versatility and complexity that you would expect from any of our sauces, but with the smokiness that us chipotle-heads love. 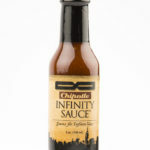 A diamond in our collection that is better suited in your pantry.